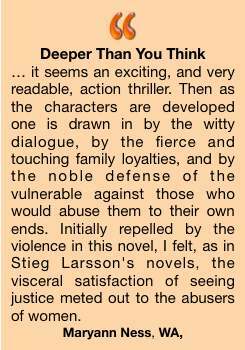 IF YOU LIKE the Bourne movies and writers like Lee Child, Robert Crais & James Patterson you’ve come to the right place. If a well-researched, fast-paced style floats your boat this is for you. 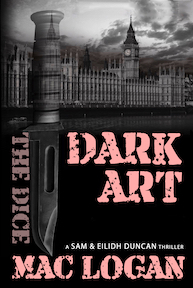 ENJOY Dark Art, a topical investigative and political conspiracy thriller – even Brexit sneaks in. 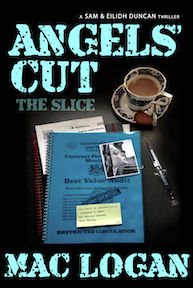 SCOTTISH CRIME and Mystery Writing with an international dimension. AN UNMEMORABLE MAN walks into an upmarket restaurant in the City of London. Within seconds, a senior banker lies dead. Shortly afterwards a senior Civil Servant is also shot. Someone is tidying up. DARK ART picks up where Angels’ Cut leaves off. In Europe and the USA, Sam Duncan squares up to a secret cabal motivated by greed and power. These players incite corruption, treachery and murder. SAM DUNCAN and the mysterious Tonka plunge into a lethal escalation of the battle against a monstrous global confederacy of business, criminals, bankers, officials and politicians want to stop him. Money talks as betrayal and murder stalk Sam and disrupt his investigation. IN THE GLOBAL ECONOMY, pervasive as the Internet, greed and evil hold the high ground. IN THIS GRITTY and topical conspiracy thriller, death shadows a courageous team as their investigations lead into Europe, the USA and beyond. The more they uncover, the more vicious the response from their well-connected enemy. Of course, there are good guys, but who can you trust? To what lengths will corrupt people go? SAM, TONKA and a mysterious woman are hunters … and hunted. In the blink-of-an-eye, their enemy, a deadly hydra-like network, attacks from all sides. Its lethal reach and power is as frightening as it is murderous. AGGRESSIVE PURSUIT once more places the team in stark jeopardy and survival comes down to a matter of minutes. What price the power of love in the darkest of times? JUST WHAT can you do to overcome an unprincipled foe? In a wild final confrontation, Sam is going to find out. Win or lose, there’ll be a price to pay.